Introduction: As this year marks the 50th anniversary of “Captain Scarlet and the Mysterons“ one of my all time favorite TV shows, I thought it might be fun to roll out a seasonal story that I wrote way back in 2002 for the Comicopia APA magazine, and that has subsequently been republished a couple of times by Spectrum Headquarters, the leading Capt. Scarlet website, in 2004, and 2013. The Mysterons: sworn enemies of Earth. Possessing the ability to recreate an exact likeness of an object or person. But first, they must destroy. LONDON – DECEMBER 23rd 2068. No one heard the body fall or the squelching noise as it came to rest in the bank of week old snow at the entrance to the alleyway. The corpse had hardly come to a rest before it was dragged back into the shadows between two department stores. The nearby mass of humanity that made up the last minute Christmas shoppers never even realized that a murder had taken place in their midst. A few may have noticed that the usually occupied street corner spot was now empty, but it’s doubtful that they gave more than a passing thought to its regular Yule-time inhabitant. If they had looked closely, they may have seen the tracks in the dirty brown slush where a pair of boot heels had dragged furrows. The body to which those feet belonged now lay full length in the filth and damp of the alley. The boots were black and worn over a pair of velvety red pants. Above those the corpulent form of the victim was wrapped in a coat made from the same velvety material, but trimmed with an off-white faux-fur. The fur almost matched the white bushy beard that adorned the face of what, in life, had been a jovial man. But that face now wore a frozen look of shock. The red coat and pants complemented by the equally red pool of liquid that now collected behind his head. The pool of blood soon became a rivulet that flowed towards the drain in the center of the alley. Its course, however, was blocked by another pair of black boots. These boots also belonged to a man who looked like he too had been touched by the hand of death. But this was a living corpse – a man whose very essence had been sucked out of him, a man whose soul had been violently ripped from his body, no long human he was the agent of a malevolent alien force. He was a man dressed totally in Black. The man in black looked down at his victim waiting. He didn’t have to wait too long. Two rings of light suddenly appeared on the floor by his feet. Lights without an apparent source. They moved along the alleyway and swept over the length of the body, then disappeared. The man in black turned and looked in grim satisfaction of the figure of the department store Santa who now stood by his side. “You know what to do, Earthman,” the man in black intoned in a voice that sounded as if it too came from the grave. With a nod, the man in red stepped over the body of his former self and took his place on the pavement in front of the alleyway. Picking up his hand bell he took up his familiar refrain. THIS IS THE VOICE OF THE MYSTERONS. WE KNOW THAT YOU CAN HEAR US EARTH MEN. WE WILL CONTINUE OUR WAR OF ATTRITION. High above the Earth’s surface, in the floating carrier known as Cloudbase, Colonel White, supreme commander of the earth defense organization known as Spectrum, sat at his circular command station staring intently at the speaker on the wall in front of him. The last words of The Mysterons latest threat fading out into silence. The aptly named Mysterons were indeed a mystery. No-one had ever seen them, except for the crew of the ill-fated Martian Expeditionary Vehicle who had fired on the aliens’ outpost mistaking the sudden appearance of a scanning probe for a hostile act. That single instinctive act of self-defense had triggered a war of nerves between the aliens and humanity. A war that had seen much death and destruction. Apparently without corporeal bodies the aliens had taken to using their powers of reanimation to turn various men and machines into living weapons, costing several Spectrum agents their lives. How this reanimation process could work so precisely when activated from the distant surface of Mars was part of the mystery, along with how, and why, these Mysterons could tap into the Spectrum communications system to deliver their threats. Common sense would suggest that they were using someone with inside knowledge of Spectrum’s operations. But the only member of the organization known to have had contact with the alien methods and survived was now their greatest nemesis. Colonel White’s thoughts focused on the most recent threat. “Destroy the spirit of Christmas,” he muttered almost imperceptibly. The other members of the senior staff sat around the periphery of his desk had also been pondering the same message. “What does it mean?” asked the tall blond officer in the blue jacket. “How can they do that ?” came a light female voice with an alluring French accent. All turned to look at the speaker, this man knew more about the way the Mysterons worked than anyone alive. Spectrum’s top agent, he had once been an instrument of death under the alien’s control when had tried to assassinate the World President. But a second “near-death” experience while under Mysteron control had freed him from the their servitude yet had left him with some remnants of their power of retrometabolism. Paul Metcalfe was now indestructible. Not truly immortal, but close to it. For the members of Spectrum, the man in the scarlet jacket was their greatest weapon. He knew how the enemy thought. “I don’t follow you Captain Scarlet,” said Colonel White. The two World Intelligence Network agents finished their security sweep and radioed in. The two agents glanced at each other, neither saying a word as they turned around and started back down the length of the Eurostar Trans-continental train. “Status, Lieutenant Green?” Colonel White asked his communications officer. “We have senior officers in all the major cities where we believe that The Mysterons will strike. Captain Brown is in New York, Captain Grey is in Los Angeles, Captain Ochre is in Paris and Captain Blue is in London.” The ambitious lieutenant looked towards his commanding officer for some acknowledgment. All he received was a brief nod and a slight raise of the chin which he took to be the signal to continue. Joe and his partner Mac stepped off the Eurostar tired and dirty after yet another exhaustive search. Joe wiped the back of his grubby sleeve across his forehead wiping away the sweat and grime from spending the last few hours crawling between and under train seats. Then he removed his overalls and what appeared to be a pair of protective goggles, but just as easily could have been thick glasses. With the work clothes and glasses gone he suddenly looked different, his posture reflecting his physical size. And when he spoke again, his voice was almost child-like. The sleek red Spectrum staff car pulled off the busy motorway outside of London and made its way to a small village filling station away from the main roads. The filling station didn’t look like it had had a customer in years. Away from the main traffic flow it still had old fashioned pumps and was lacking the requisite mini-mart for snacks, maps and newspapers. It was amazing that it was still in business. Captain Blue brought the staff car to a halt and walked over to the small hut where the sole attendant sat reading a newspad with his feet up on the desk. The attendant didn’t react to the bell that rang above the door when Captain Blue entered. “We’re closed,” he muttered, head still buried in the paper. The attendant dropped his pad on the desk and quickly stood up. “ID,” he asked, even though the man before him was in full Spectrum uniform. Better not to take chances, and anyway, uniforms are easily faked. Although no-one outside of Spectrum should have known of this filling station’s real purpose. Captain Blue proffered his ID card for inspection. The seemingly slovenly attendant now acted like a professional security agent as he checked the credentials. Captain Blue immediately activated the radio built into his uniform cap. The boom mike swung down from his cap’s peak and the lights built into his jacket insignia flashed white to indicate that his transmission was to Colonel White. Captain Blue listened for the response and his orders. They were quick in coming and by the time the attendant returned, he knew what to do. “Follow me, sir.” The attendant turned on his heels and lead Captain Blue to the rear of the filling station. “There she is,” he pointed to what appeared to be an abandoned trailer home parked between two trees. The trailer looked like it hadn’t been occupied for years, the paint was peeling, the windows opaque with filth and the sides covered with green mildew for the close trees. As Captain Blue looked on the attendant withdrew a small device like a TV remote control from his pocket and pressed a combination of buttons. Suddenly the sides of the trailer folded outwards as it opened like a blossoming flower. And in the center stood a Spectrum Pursuit Vehicle, the most specialized piece of equipment in the organization’s impressive arsenal. Part armored car, part tank it could withstand any sort of attack but was also highly maneuverable and fast, quicker than any production sports car, despite its large size. As Captain Blue walked over to the trailer, the garage attendant keyed another few buttons on the hand-held device and raised it to his mouth like a cell-phone. As soon as the blue light on his desk had illuminated, Colonel White knew that this was the signal to action. Captain Blue was not one to report in unless he had found something significant. Upon hearing Captain Blue’s report of the news article, he immediately put his plan into action. “SIG, Colonel,” responded the Lieutenant using the organization’s usual acronym to confirm that an order has been received and understood: Spectrum Is Green. She engaged the powerful engines, keyed the catapult that would launch her aircraft off the deck of Cloudbase at near supersonic speed and pressed the red button on her control panel that released the pent up energy of engines and catapult. In an instant she was airborne. “Instructions please,” she radioed in. And with that acknowledgment, the fighter banked over and set course for London’s airspace. Behind her, the other two Angel pilots settled into their seats in the Ops Lounge, keyed the correct sequence of buttons and were soon hoisted on lifts straight up into the cockpits of their aircraft. Less that two minutes after the departure of Destiny, they too were also airborne and following the vector taken by their leader. Shortly after the departure of the Angel interceptor aircraft, a Spectrum jetcopter lifted off; at the controls was Captain Scarlet receiving his briefing from Colonel White over the radio. “They’re Spectrum Angel aircraft, I think. Never seen one before, but if I recall the photographs I’ve seen then that’s what they are,” responded the aide. Above the two politicians another aircraft kept pace with the train. Captain Scarlet’s jetcopter had increased its velocity to match the near 300 kph of the high speed train as it hurtled through the early evening of the English countryside on its way towards the Channel Tunnel entrance. “I’m sure I saw this in an old movie once,” though Scarlet to himself as he placed the copter on autopilot and descended down a flimsy steel rope ladder to the speeding roof below him. Once on the roof he found the slipstream was too strong for him and he immediately lost his footing. With a sudden and hard bump, he crashed chest down into the roof as his feet were swept away by the vicious winds. He reached forward in a desperate attempt to find a hand grip. But the sleek train had been designed to be as streamlined as possible. The roof was a smooth as glass; there was nothing to hold on to. The Spectrum agent was swept backwards at immense speed. As he was dragged back, Scarlet twisted onto his back and not without difficulty, pulled his flailing arms in to his body. It seemed to take an eternity, but Scarlet eventually brought his hands together and flicked a switch on what appeared to be a standard wrist watch. Above him the jetcopter performed a neat 180 degree turn and tracked his movement and speed towards the rear of the train. Just as Scarlet’s legs started to disappear over the rear of the Eurostar the steel ladder appeared above his chest. Reaching out, he grabbed it. The train rushed ahead and the Spectrum agent was left hanging from the now hovering jetcopter. No matter what they showed in the movies, there was no way he could board the speeding train. The only way to get on board was to stop the Eurostar. As he climbed back up the rope towards the aircraft above him, Scarlet’s boom mike dropped from his cap peak. The light on his uniform flicked blue. Reaching forward for the controls, he brought the SPV to life and set a course away from the tunnel entrance towards the speeding train. The armored vehicle was wide enough that its tracked wheels spanned the monorail track used by the Eurostar. Soon it was up to top speed. Captain Blue sat in the rearward facing command chair, watching for the approaching train on the video monitor that showed what was happening in front of the SPV. It didn’t take long for the train to appear on the horizon, the gap between it and the SPV closing with frightening speed. Captain Blue brought the SPV to an immediate halt and radioed the driver of the Eurostar. Before he received any acknowledgement that the message had been heard, Captain Blue pressed the buttons to operate the sliding door and seat mechanism and soon found himself outside the casing of the SPV. The seat gently lowered to the ground. He undid the restraining harness and ran towards the jetcopter that was now waiting for him in a nearby field. “Let’s hope he stops in time,” he said looking up at the pilot. The jolly man in the red suit stumbled as the speeding train came to a sudden halt. The sack he carried swung over his shoulder slipped and bumped against the back of the British Prime Minister’s head. “This will be a Christmas you won’t forget,” intoned the man in the red suit, his voice oddly flat. “I think that’s why,” responded the aide pointing back to the rear of the train. Walking towards them down the passageway between the seats was another man in a red jacket, but this was no Santa. Suddenly Captain Scarlet’s world turned hazy, he began to feel faint. The world began to spin. This was a feeling he only ever felt when close to a Mysteron agent. It wasn’t an infallible “sixth sense”, it didn’t always warn him in time and its focus was imprecise, but he’d learned to trust it. Forcing himself back to equilibrium he looked at the Prime Minister again, this time with closer scrutiny. Suddenly a dry gravely voice interrupted his deliberations. Captain Scarlet spun and saw the incongruous sight of a man in a Santa suit holding a gun at him. As he stared at the Mysteron agent, he noticed wisps of smoke starting to creep slowly out of the collar of the man’s costume. He was a human bomb. There was no choice, Scarlet had to get him off the train before he exploded, killing everyone on-board. Before anyone else in the carriage could react, Scarlet moved; he rushed straight towards the gun-wielding Santa. The carriage was filled with the sudden report of a gun being fired. The first bullet slammed into Captain Scarlet’s chest. He staggered, but kept moving. A second bullet slammed into his arm. But he kept moving, getting closer and closer to the assassin. Then he was on top of the Mysteron agent. The gun fired twice more, Scarlet’s body convulsed as the bullets tore into him. But the momentum of his run and collision with the Santa carried them backwards towards the door of the carriage. As their combined weight hit the door, it burst open and they fell out onto the trackside. The smoke continued to pour out of the collar and cuffs of the assassin. He was getting closer to the point of detonation. The wounded Spectrum agent grabbed the smoking collar and dragged the struggling Santa towards the SPV stopped on the rail ahead of the train. He had to contain the explosion. Locked in a death struggle, the living corpse of Christmas spirit and the incredible agent of order moved closer and closer to the armored vehicle. With a final effort, Scarlet pushed the Santa back into the open cockpit of the SPV. But the flailing arms of the Mysteron managed to find a purchase on the jacket of the wounded man dragging him in afterwards. The door of the armored car closed on the two combatants. Suddenly three Angel aircraft descended at high speed towards the SPV and opened fire. As the deadly missiles hit the armored car, they exploded with blinding light and deafening sound. The SPV was reduced to a smoking pile of twisted metal. In the fields close by, lay two bodies. “Yes, sir. Thank you, sir.” Colonel White motioned to Lieutenant Green to close the radio connection, his call over. “How are they all feeling, Colonel?” asked the communications officer. Colonel White was unprepared for the sight that greeted him when he pushed open the doors to the Cloudbase medical center. Standing in the middle of the room was a man in a red Santa costume. Instinctively, Spectrum’s commanding officer went for his sidearm. Captain Scarlet removed the Santa Costume; underneath he was dressed not in his uniform but in casual civilian shirt and slacks, no sign of the devastating injuries he had received the day before. He was no longer the indestructible Captain Scarlet, he was just plain Paul Metcalfe. Reaching round he handed a small wrapped parcel to the man in white stood before him. Captain Scarlet and associated concepts and characters are © Gerry Anderson and Carlton International Media . “So what writer did you once like that you stopped reading? – And Why?” – A question I’ve been asked several times while on various panels at different conventions over the last few years. 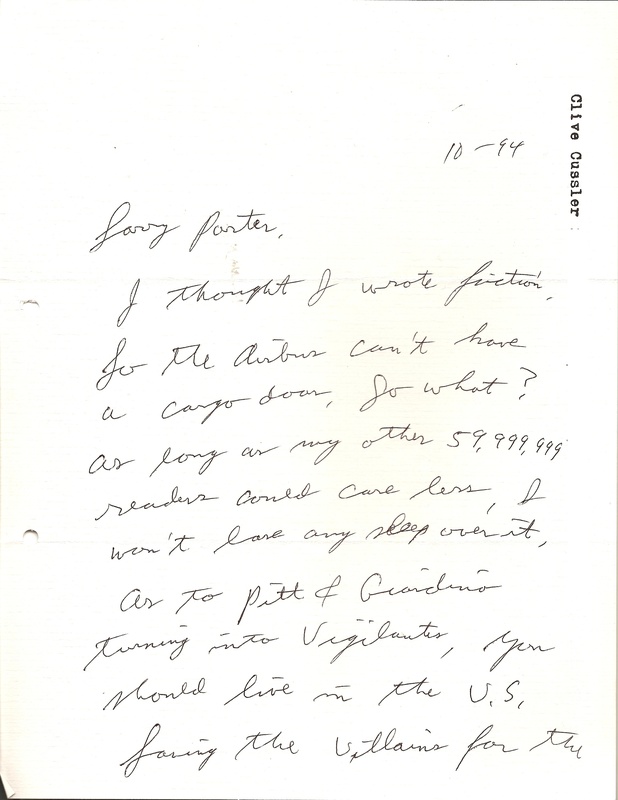 My answer always seems to revolve around a story about thriller writer Clive Cussler and a letter he wrote to me many years ago. I’ve also used the same anecdote when appearing on panels about writer/fan interactions, and similar subjects. While sorting out my office over the holiday period I came across the letter. It was pretty much exactly as I remembered it. For those friends, and convention attendees, who’ve heard me tell the story numerous times I thought I’d post the actual source here. 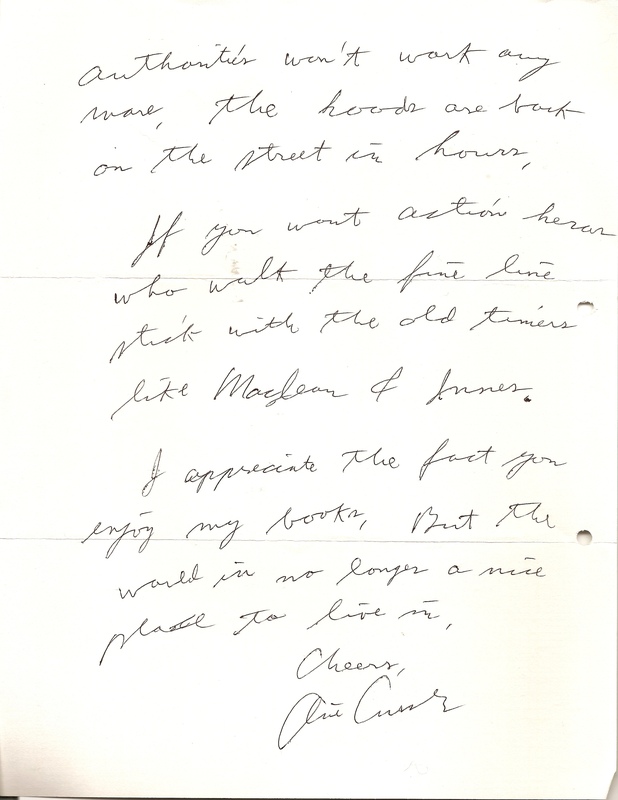 First off, an acknowledgement that from a published author success perspective, I’m not anywhere close to where Mr. Cussler was, or continues to be. He has a very large dedicated audience who enjoy his work, and I wish him every success in continuing to build and satisfy that audience. OK, on to a little background to put things into perspective. Back in the early to mid-nineties I was one of those who read every book that Clive Cussler wrote. I loved his stuff, in particular for the blend of historical research, and modern technology and adventure. 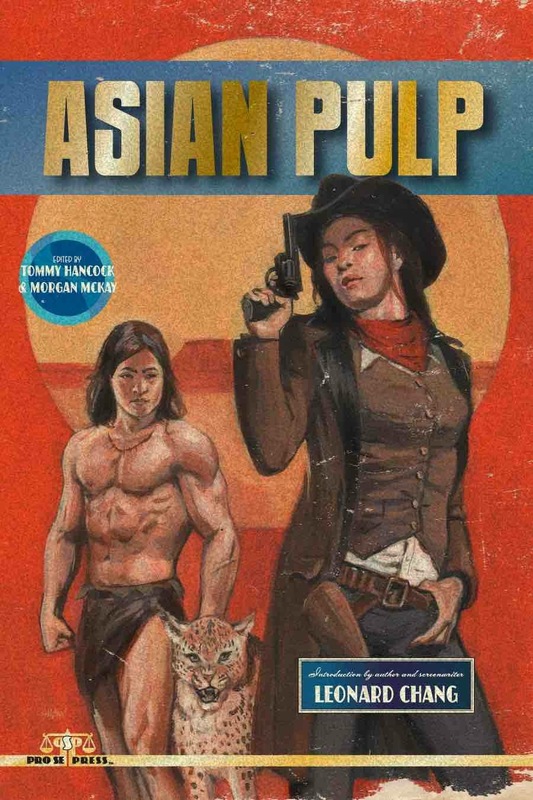 Sometime in 1994 I picked up the latest adventure, (not sure which one, possibly Inca Gold) and was little put off by what I saw as a trend of the two lead characters, Dirk Pitt & Al Giordino, away from being explorer/adventurers and more towards being vigilante type crime-fighters going after the bad-guys. Not that I’ve got anything against vigilante crime-fighters (as my long time Batman obsession shows), but it wasn’t what I read the Dirk Pitt novels for. But what brought my enjoyment to a crashing halt was a passage in the book where Cussler described an Airbus aircraft that had been converted to a cargo plane. It was all wrong. Big deal – what did it matter? Well it mattered to me. As I said one of the reasons I enjoyed the Cussler books was for how well they were researched. The thing was a few years earlier I’d headed the technical documentation group at the Airbus Division of British Aerospace – at that stage I literally knew that aircraft inside out. Sure you could convert the aircraft for cargo use (in fact Airbus now sell cargo versions) but the way it was described in the book was technically impossible, it would have compromised the airframe. – So I thought I’d be a helpful reader and write my favorite author and politley inform him of this research oversight. – This is the letter I received in reply. I thought I wrote fiction. So the Airbus can’t have a cargo door, so what? As long as my other 59,999,999 readers could care less, I won’t lose any sleep over it. As to Pitt & Giordino turning into vigilantes, you should live in the US. Leaving the villains to the authorities won’t work anymore, the hoods are back on the streets in hours. If you want action heroes who walk the fine line, stick with the old timers like McLean and Innes. I appreciate the fact that you like my books, but the world is no longer a nice place to live in. I haven’t read a Clive Cussler book since. 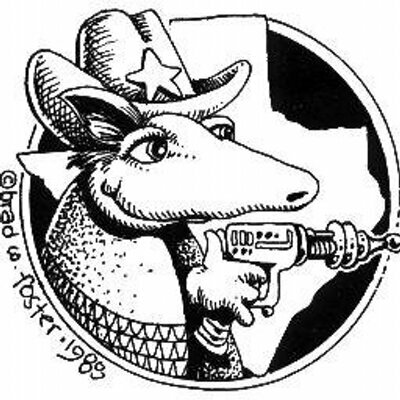 Next weekend is one of my favorite weekends of the year – It’s ArmadilloCon weekend. This literary SF convention held each year in Austin, TX is always an enjoyable one, and this year looks to be no different with an interesting mix of panels on my schedule. 10:00am – Imagining a World Without Fossil Fuels – Not sure how a petrol-sniffing gear-head like me ended up on this panel – should be an interesting discussion ! 12:00 noon – Will Interstellar Travel Ever Be Possible? – Sure to be another fascinating conversation.”Ever” is such a loaded word. 6:00pm – How Much Interaction Should Writers Have with Their Readers? – What do you think? – Anyone actually reading this? 9:00pm – Comics: Web and Paper – The annual “comics you should be reading” panel – always a fun time. 10:00am – Fans in Mainstream Media – I moderated a similar panel last year, and it was a lively and fun discussion. Should be again this year. Hope to see you at DilloCon.